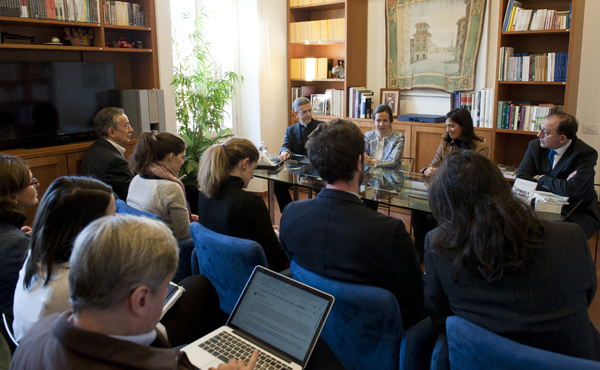 This past Tuesday, the new book "Letters to a Saint", a selection of the letters Guadalupe Ortiz de Landázuri wrote to Saint Josemaría, was presented to journalists in the Opus Dei Information Office in Rome. 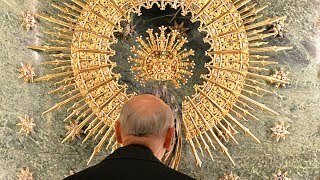 How can you really get to know the life of a saint? If you happen to have access to over a thousand letters that he or she has written, that might be a good place to start. María Del Rincón and María Teresa Escobar, co-editors of the new book "Letras a un santo" (trad. "Letters to a Saint") - a compilation of letters written by the soon-to-be blessed Guadalupe Ortiz de Landázuri to Saint Josemaria - have done just that. "Letters to a Saint came to be following the announcement of Guadalupe's upcoming beatification," Del Rincón said. Although Guadalupe has a reputation for holiness among those who knew her personally, Del Rincón and Escobar, who both work in Opus Dei's Communication Office, said there wasn't that much published material available about her life. "We knew that the General Archive of the Prelature had over a thousand of her letters. We started reading them to try to get to know her better ourselves. And it turned out to be a great discovery for us." The editors said they thought publishing excerpts from the actual letters would allow readers to get to know her in a direct way, without intermediaries. "She wrote more than three hundred letters to the Founder of Opus Dei alone," Del Rincón mentioned. Throughout the letters, the future blessed opens her heart to Saint Josemaria, telling him about her joys, difficulties and hopes. Although they were written more than half a century ago, the editors felt that modern readers would still identify with Guadalupe's struggles. "Personally, I felt that I could really relate to Guadalupe. With her passion for her career in Chemistry, she was also willing to work hard at whatever God decided to put on her path, against all odds." Escobar says she found Guadalupe to be very realistic and down-to-earth: "She was conscious of her defects and limits, but she learned to laugh at herself. I think this is part of the reason why she was so happy." They decided to publish a digital version to provide easy-access as soon as possible. Del Rincón and Escobar noted that the e-book is proving to be popular so far, with more than 38,000 downloads in less than a month. Francesco Russo, priest and director of Opus Dei's office for the causes of saints, also commented at the event. "We can never say there are 'too many' saints... Like Pope Francis says, the saints are 'the most attractive face of the Church.' Every new blessed or saint is like an injection of hope and encouragement for every Christian... In the end, the saints are the ones who really change the world." The e-book can downloaded from Itunes Apple Books ► “Letras a un Santo” and from Google Play Books ► “Letras a un Santo”. The English translation will be available shortly.